One of the best things about Greenville, SC are the parks, trails and outdoor opportunity. There is a thriving outdoor community with biking, kayaking, climbing, golfing and hiking enthusiasts. Greenville attracts more young people every year with it's proximity to the Blue Ridge Mountains and thriving downtown scene. Younger people want to play in the outdoors and live in the city and Greenville is the perfect size for both of those pursuits. 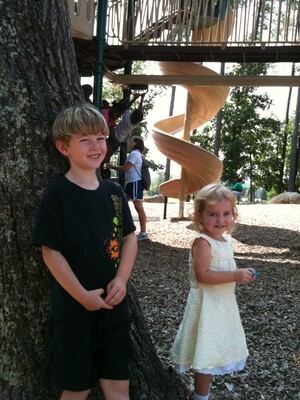 South Carolina Parks Finder - You can use this park finder to locate the park websites for the following parks that are close to Greenville or in Greenville County. Located minutes from downtown Greenville, this park offers 1540-acres of hiking, mountain. biking, camping, paddling, swimming and picnicking over a large part of Paris Mountain. Caesars Head, along with Jones Gap State Park and other wildlife preserves in upper Greenville County, create the protected Mountain Bridge Wilderness Area. Great views of the mountains and a 400 foot waterfall. 3,346-acre park. Located in the 10,000-acre Mountain Bridge Wilderness Area, In addition, the park is an access point to the Foothills Hiking Trail. Upper Greenville County. If un-sure of which parks to start at Pisgah is local to Greenville and an awesome place to visit. A 390-acre nature education and recreation center nestled in the beautiful foothills of Tryon, North Carolina. 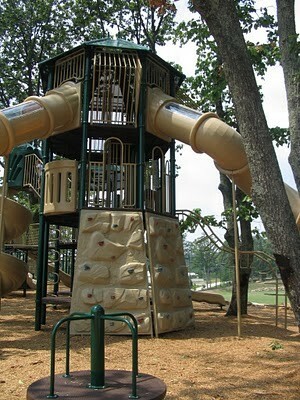 A Hugh playground for kids and Frisbee golf course for all ages. All Types and anything concerning trails! Great resource. This is a different web site from the ones above and gives more trail/hiking information. The most complex trail system in South Carolina. This Revolutionary War site commemorates the place where Daniel Morgan and his army turned the flanks of Banastre Tarleton's British army. This classic military tactic, known as a double envelopment, was one of only three in history. There are 5 great water parks in Greenville county. Parke open annually in May. A great way to cool off during the summer for all ages! A pirate themed water park built by the City of Duncan. runs from the foothills of Oconee to Charleston. Open 7 days a week from 10:00 A.M. to 6:00 P.M. Check them out for zoo camps, zoo safaris, Boo in the zoo. and more for all ages. Greenville BOO IN THE ZOO in October. Not to scary Halloween event. A great place to take you kids every 2nd Saturday of the month. It offers fun stuff for kids of all ages. Crafts, interesting science information, Historical farm with animals and gardens. Live animals to pet and explore with the volunteers help and the rainforest room to go through! Monthly they usually have a speakers on some really interesting science/ nature topic. Every Christmas season they light up the mountain with neat displays of Christmas lights. They have several annual events for kids held in the historic horse barn. They also have summer camps and holiday events. The Great Smoky Mt Railroad makes a magical trip starting in November with caroling, hot chocolate and entertainment along the way.